"Profiles and portraits celebrating the successes and diversity of New Zealand women across many spheres - politics, arts, science, community development, business innovation and health.These leaders share their views on what it's like to be a woman in New Zealand today- the cont... read full description below. A landmark book of profiles and portraits celebrating the successes and diversity of New Zealand women across many spheres - politics, arts, science, community development, business innovation and health.These leaders share their views on what it?s like to be a woman in New Zealand today- the contributions they are most proud of, challenges they have faced and still face, dreams they have and goals for the role of New Zealand women. 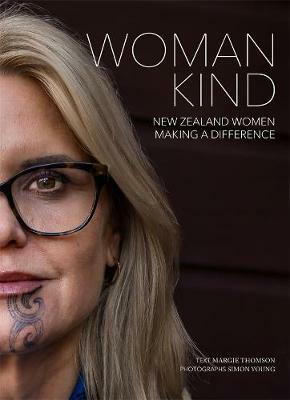 The range of women covers diverse fields, ages and ethnic backgrounds - from household names like Jacinda Ardern and Helen Clark, Malvina Major and Portia Woodman, to unsung heroines of the suburbs - a Kiwi Samoan scientist, the first Indian-born female police officer, and a maker of coffins!These 50 New Zealand women have set out to make a difference in the world, whether that be on a global stage, or in their local communities.